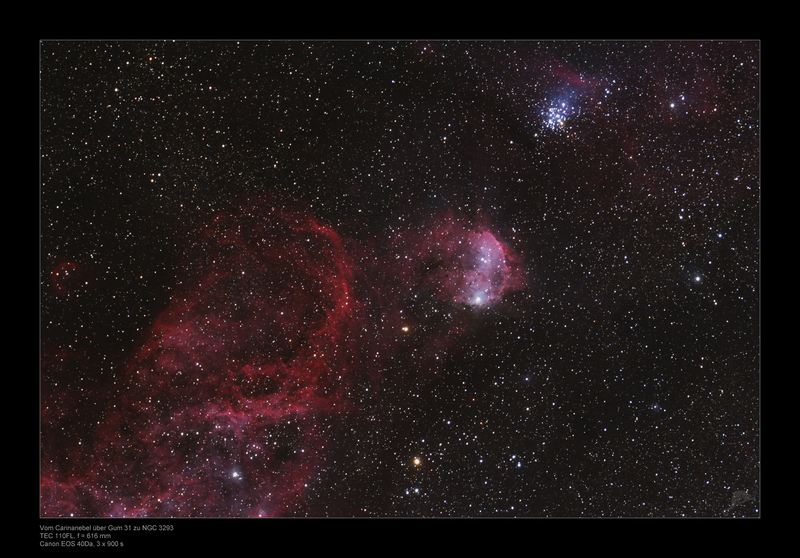 A further test image with the Rooisand TEC shows the area from the Carina nebula at the left side to the open cluster NGC 3293 at the top of the image. 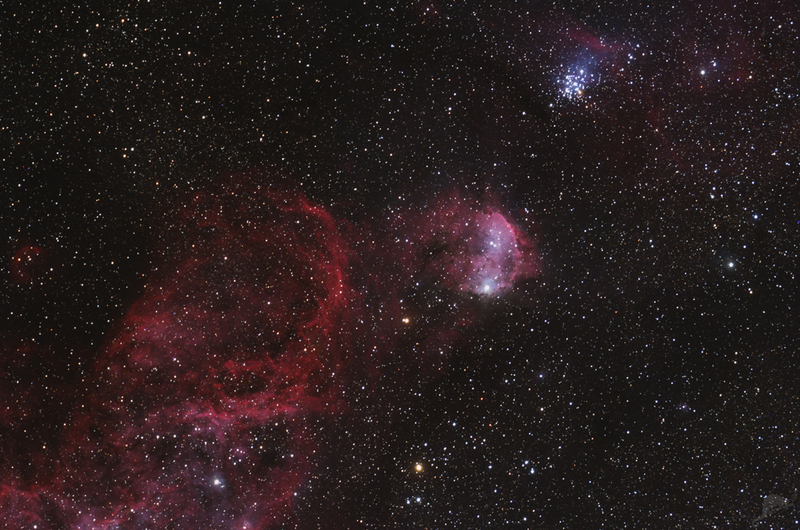 The central emission nebula Gum 31 was already imaged with the CDK 17 at a longer focal length. There you´ll find a detaild description of GUM 31. 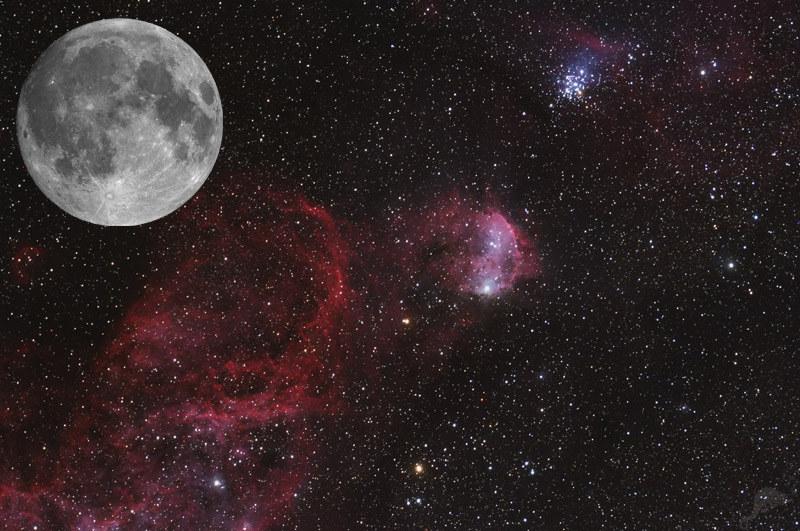 «The image left show a comparison between the field size and the full moon. load large image.